Since autumn 2018, the Theatre on the Balustrade is going to celebrate its 60th season in the name of great literary and cultural characters as well as current topics. The Theatre on the Balustrade was founded by Helena Philippová in 1958, who was also the co-founder of the Jára Cimrman Theatre, Vladimír Vodička as a future director, Jiří Suchý and Ivan Vyskočil. Young theatremakers rented an unkept hall they had to adapt. The theatre was named after a little street running from the riverbank to the Anenské Square – On the Balustrade. They worked in the provisional spaces for almost a year. The first extensive reconstruction took place in 1959. The first premiere was held on 9th December 1958. The authors called the performance of If a Thousand Clarinets a pop-up book with songs. The production was directed by Antonín Moskalyk, music was composed by Jiří Šlitr, Jiří Suchý, Jaroslav Jakoubek, Vladimír Vodička, and lyrics by Ivan Vyskočil. 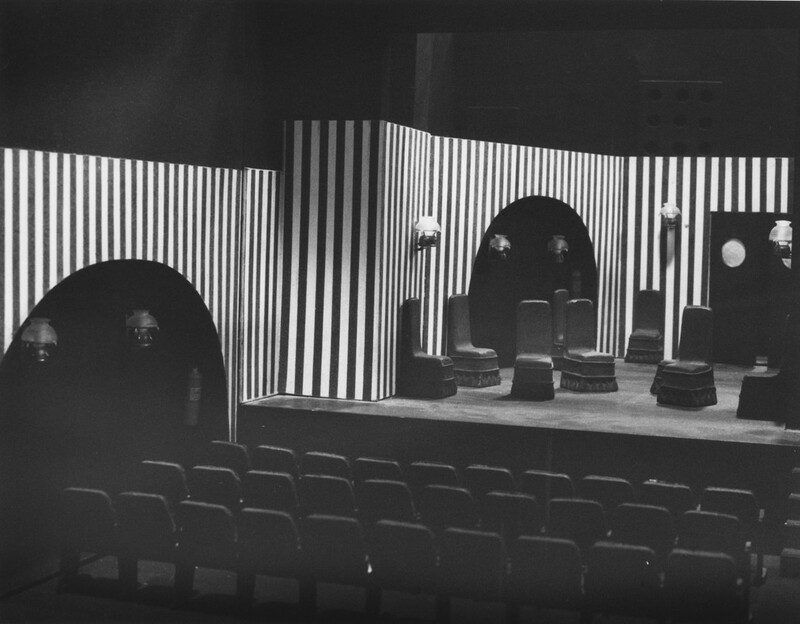 In spring 1959, the Ladislav Fialka pantomime ensemble joined the drama ensemble, which was based in the theatre for 30 years and was inspired by French mime Marcel Marceau. Yet the Theatre on the Balustrade was probably more famous due to drama as many famous directors and actors have worked there during sixty years of its existence – Václav Havel, Jan Grossman, Evald Schorm, Jiří Pokorný or Petr Lébl. The theatre is now managed by the city of Prague and since the 2013/2014 season, the director is Petr Štědroň. Studio Ypsilon in Prague celebrates 55 years of its existence in 2018 as well. Since the beginning, it has been integral part of Czech and world theatre history (due to their numerous tours around the world) with its poetics and the method of collective improvisation. Hundreds of productions, improvisation evenings, happenings and other events have been brought to light in the course of more than half a century. Many impressive personalities have participated in productions, some of them are present there until nowadays (such as Jan Schmid, actress Jana Synková or composer Miroslav Kořínek), although it is not possible to meet all of them. Divadlo Drak celebrates the 60th anniversary of its foundation as well. The project of theatre celebrations covers concerts and exhibitions, which illustrate history of theatre and puppetry. The theatre originated in Hradec Králové in 1958 as the South Eastern Puppet Theatre. Drak appeared in the name of the theatre in 1968 as it started to draw attention since the end of the 1960s. The theatre builds on the Czech puppet tradition and is one of the most important Czech puppet theatres. Drak underlined its position in 1992, when it founded the International Institute of Figurative Theate, the place of confrontation of local and foreign puppet theatremakers. Since 2010, it has provided the opportunity to see how a theatre production is made in the Labyrinth of Drak Theatre.